Perfect when you run out of eraser before you run out of pencil. Made of premium non-smudge rubber to ensure clean corrections. Soft and pliable so they won't tear paper. Eraser Type: Pencil Cap; Material(s): Elastomer Compound. 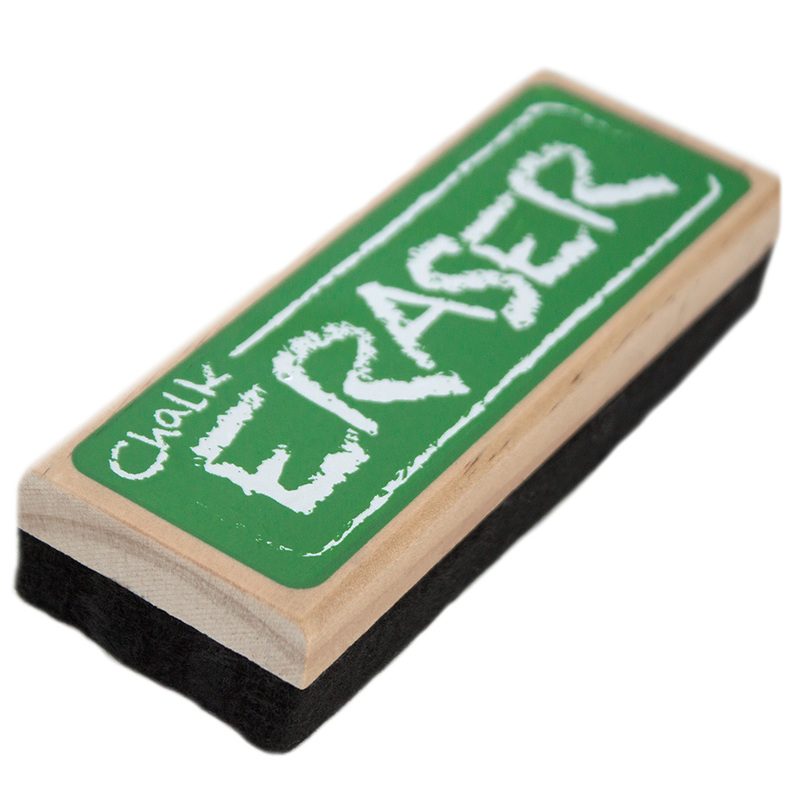 When it's time to clean the board, reach for this classic eraser. Equally suited to both chalk and dry erase marker, these six thick strips of wool felt are dustless, noiseless, and fastened securely to a brightly-painted wooden handle. 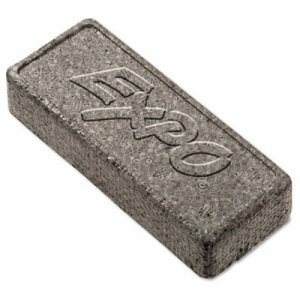 A perfect fit in small hands, but comfortable for an adult, this eraser is an indispensable supply for school, home, or the office. 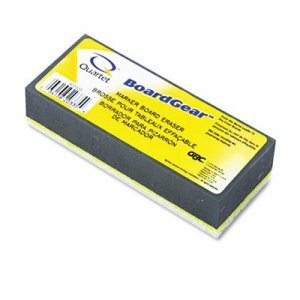 Soft pile felt eraser quickly removes marks on any whiteboard, porcelain or melamine surface. Nonabrasive material erases cleanly without scratching. Washable�simply use soap and water to clean. Pad Material: Felt; Width: 5 1/8"; Height: 1 1/4". Pen-shaped eraser with retractable push-button top. Holds one 4 3/4" long smooth white eraser. 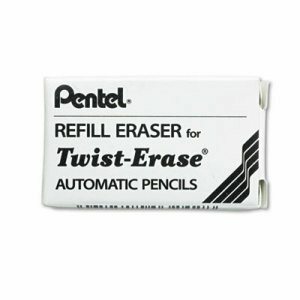 Erases without tearing, scratching, or ghosting. Pocket clip. 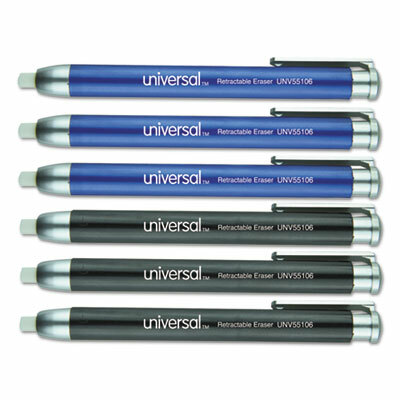 Eraser Type: Pen; Material(s): Thermo-Plastic Rubber; Barrel Color(s): Blue; Black. 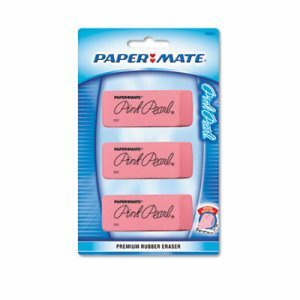 Premium white eraser removes lead easily and cleanly without scuffing, smearing or tearing writing surface. Pocket clip advances/retracts this long lasting eraser with a click. Maximum comfort and control with the latex-free grip. 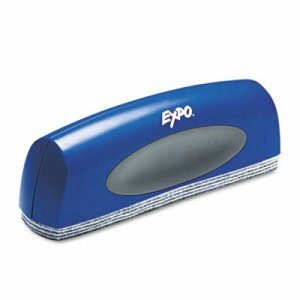 Eraser Type: Stylus; Material(s): Polyvinyl Chloride; Barrel Color(s): Blue. Reduce, reuse and refill with these convenient replacement pads. Eight-layer felt pad lets you peel away used pads for a fresh erasing surface. Pad Material: Felt; Width: 10". 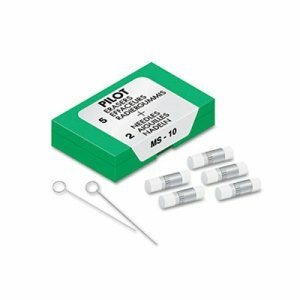 Eraser refills for Pentel� mechanical pencils lift lead markings off paper with very little pressure. 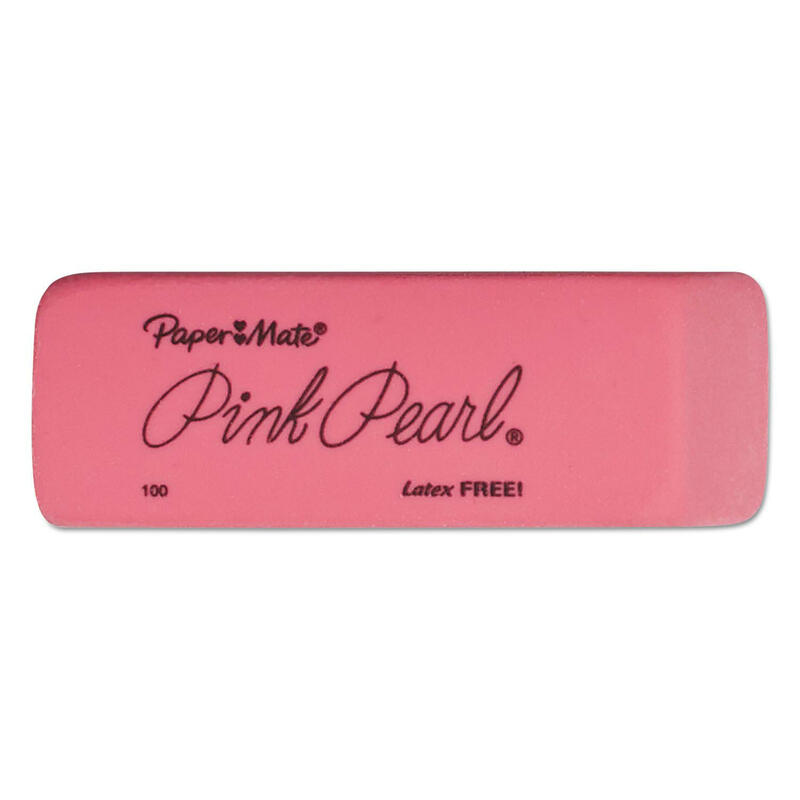 Won't scratch or tear paper; erases cleanly with no dust. Non-abrasive. 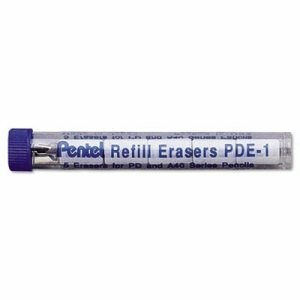 Eraser Type: Mechanical Pencil Refill; Material(s): Polyvinyl Chloride. Reduce, reuse and refill with these convenient replacement pads. Eight-layer felt pad lets you peel away used pads for a fresh erasing surface. Pad Material: Felt; Width: 2 1/4"; Depth: 6"; Height: 1/2". 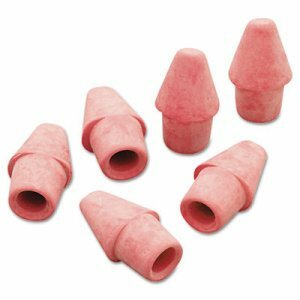 Soft and latex-free pink end-cap pencil erasers. Easily removes pencils marks without tearing, smudging or ghosting. Fits most standard pencils. Great for corrections on standardized tests, office documents and homework. 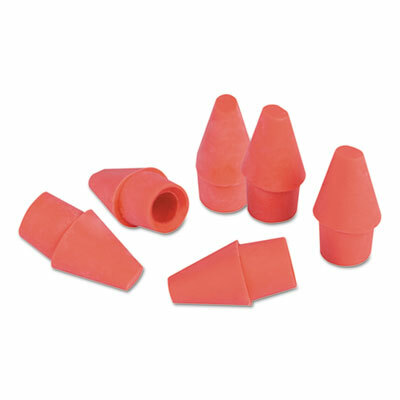 Eraser Type: Pencil Cap; Material(s): Elastomer Compound. 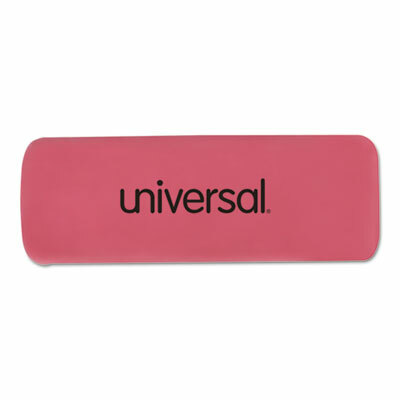 This block style eraser is made for easy gripping. Professional grade material is pliable and leaves no residue behind. Latex free for no worries about allergies or skin sensitivities. 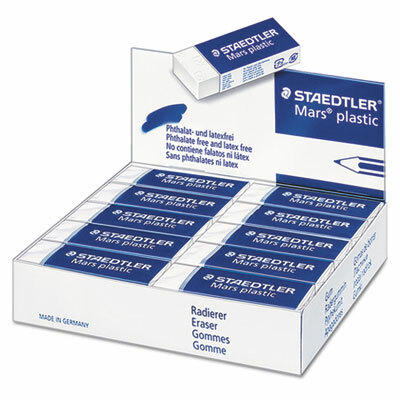 Eraser Type: Block; Material(s): Latex-Free Plastic. 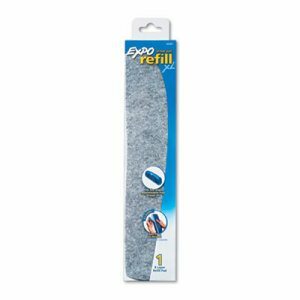 High quality latex-free eraser removes lead easily and cleanly with very little pressure. Block style is perfect for getting into little corners or erasing large areas quickly. No smudges, no paper tears and no ghosting. 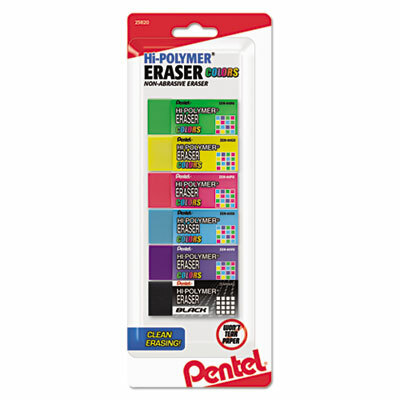 Eraser Type: Block; Material(s): Hi-Polymer, Latex-Free; Barrel Color(s): Black; Green; Pink; Sky Blue; Violet; Yellow. 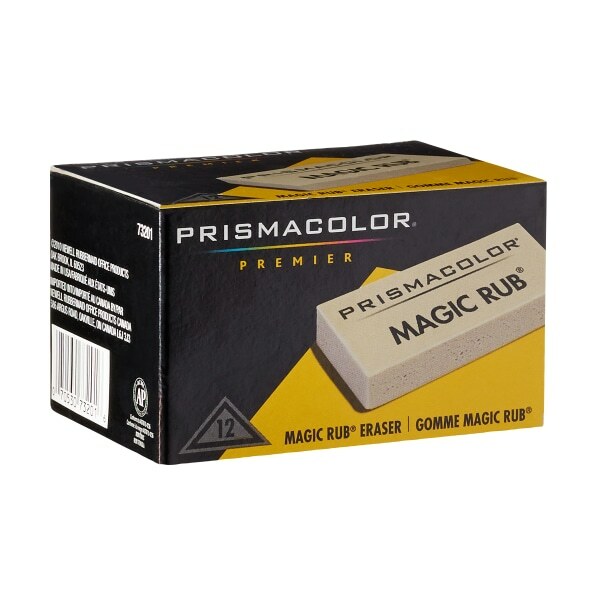 Non-abrasive eraser for delicate surfaces such as drafting films and tracing papers. 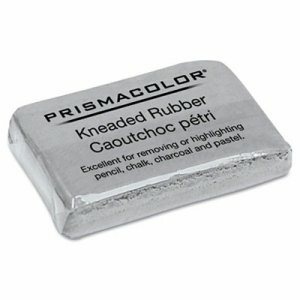 Multipurpose eraser absorbs graphite as well as erases India ink. Eraser Type: Art; Material(s): Vinyl. Premium white eraser removes lead easily and cleanly without scuffing, smearing or tearing writing surface. 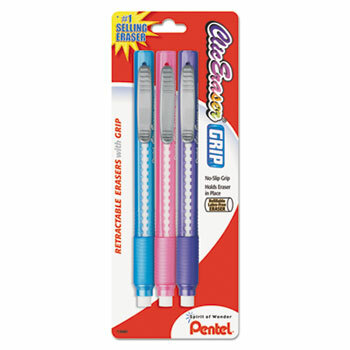 Pocket clip advances/retracts this long lasting eraser with a click. Maximum comfort and control with the latex-free grip. Eraser Type: Stylus; Material(s): Polyvinyl Chloride; Barrel Color(s): Black; Blue. 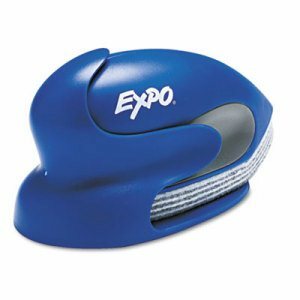 Unique tear drop shape with designated grip makes this eraser remarkably comfortable and easy to use. Precision point lets you erase only what you want to erase. Replaceable eight-layer felt pad lets you peel away used pads for a fresh erasing surface. Included magnetic docking station allows convenient storage directly on your board. 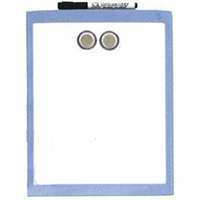 Pad Material: Felt; Width: 4 1/2"; Depth: 9.1"; Height: 1.44". Mounts to any magnetic whiteboard surface, making it as easy as ever to erase and refresh your whiteboard and keep markers in one place. This eraser keeps everything at your fingertips. Thick felt erases cleanly. Available with chisel- or fine-tip markers. 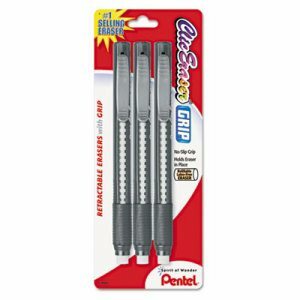 Chisel version includes one magnetic clip eraser and three low odor chisel tip markers. Fine version includes two low-odor fine-tip dry eraser markers. Marker Type: Dry Erase Kits; Assortment: Black; Blue; Red; Color(s): Assorted; Tip Type: Chisel. 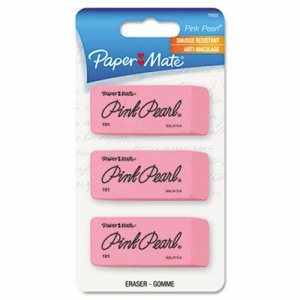 Soft and latex-free beveled pink erasers. Easily removes pencils marks without tearing, smudging or ghosting. 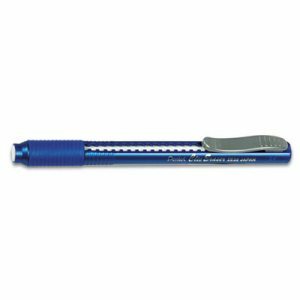 Easy to angle eraser for maximum control to erase small details or entire lines. Great for corrections on standardized tests, office documents and homework. Eraser Type: Beveled Block; Material(s): Elastomer Compound. 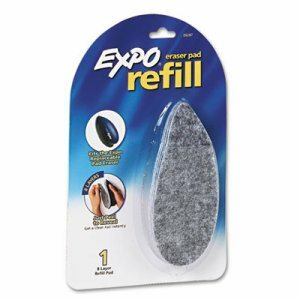 High quality latex-free eraser removes lead easily and cleanly with very little pressure. Block style is perfect for getting into little corners or erasing large areas quickly. No smudges, no paper tears and no ghosting. 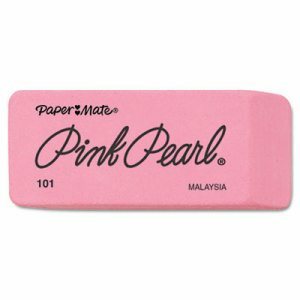 Eraser Type: Block; Material(s): Polyvinyl Chloride. Optional accessories to enhance the experience of using the Safco� Rumba� Whiteboard Collaboration Screen. 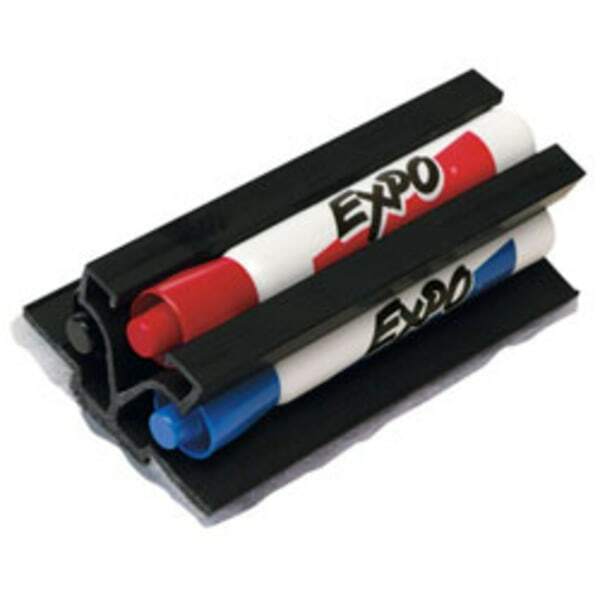 Easily adheres to the whiteboard to hold supplies such as markers and erasers. 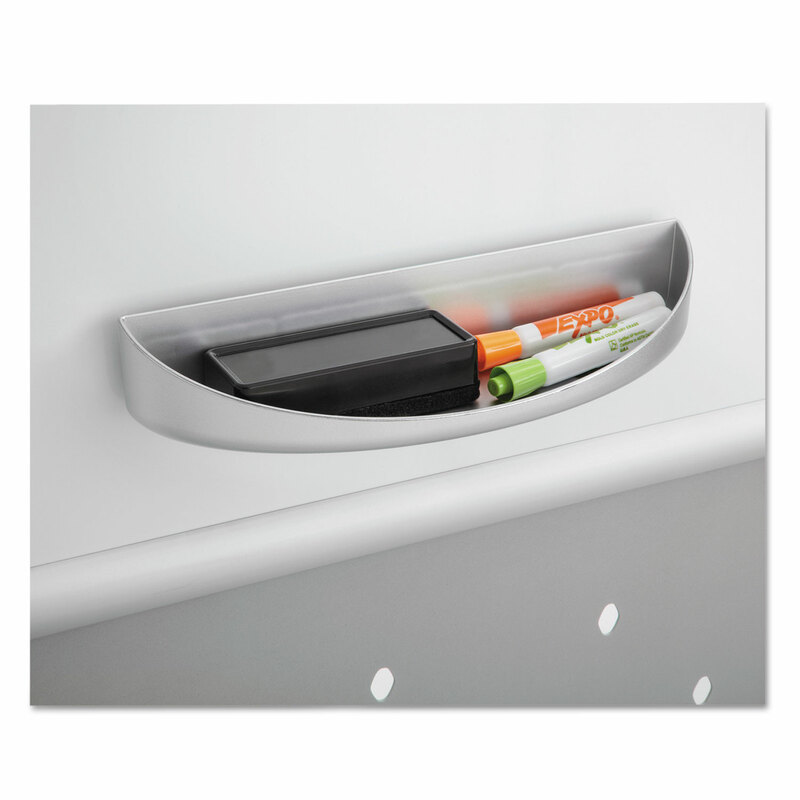 Panel Accessory Type: Eraser Tray; Width: 12 1/4"; Depth: 3 1/2"; Height: 2 1/4". 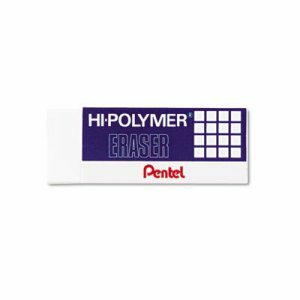 Premium white eraser removes lead easily and cleanly without scuffing, smearing or tearing writing surface. Pocket clip advances/retracts this long lasting eraser with a click. Maximum comfort and control with the latex-free grip. Eraser Type: Stylus; Material(s): Polyvinyl Chloride; Barrel Color(s): Sky Blue; Light Green; Violet; Pink. 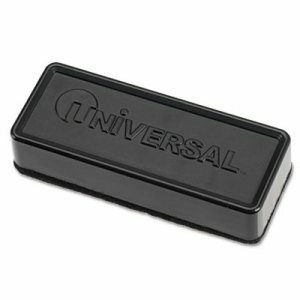 Large surface cleaning is no problem with this oversized eraser. Comfort grip offers easy maneuverability. Features an eight-layer felt pad�when ink builds up simply peel to reveal a new pad. Pad Material: Felt; Width: 10".